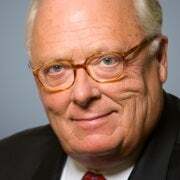 Edwin J. Feulner’s 36 years of leadership as president of The Heritage Foundation transformed the think tank from a small policy shop into America’s powerhouse of conservative ideas. Read his research. George Washington was lauded as “first in war, first in peace, and first in the hearts of his countrymen,” in the words of Henry “Light Horse Harry” Lee. But even our nation’s first president couldn’t prevail over the desire for a three-day weekend. That is, simply put, ridiculous. Are we seriously expected to put Washington on par with the scandal-ridden Warren G. Harding? Or place the Great Emancipator on the same level as James Buchanan, whose inability to deal with the slavery question helped hurtle the nation to the brink of civil war? Yes, all Americans should have at least a passing acquaintance with all 45 occupants of the Oval Office. But only a few deserve to be celebrated. Head and shoulders above the rest are Washington, who was indispensable to the creation of our union, and Lincoln, who saved it. Lincoln’s roles in steering the country through the Civil War and in ending the scourge of slavery are well known—and rightfully so. But we sometimes forget that it was, in large measure, his deep understanding of the Constitution that enabled him to rise to such greatness at the moment of crisis. The candid citizen must confess that if the policy of the government upon vital questions and affecting the whole people is to be irrevocably fixed by decisions of the Supreme Court, the people will have ceased to be their own rulers, having, to that extent, practically resigned their government into the hands of that eminent tribunal. I believe, following Lincoln’s example, that the Congress can be much more active and much more assertive in its role in relation to the judiciary. There are a number of ways in which this can happen. The Senate can more carefully fulfill its role in the selection of federal judges. I believe each individual is naturally entitled to do as he pleases with himself and the fruit of his labor, so far as it in no wise interferes with any other man’s rights and that the general government, upon principle, has no right to interfere with anything other than that general class of things that does concern the whole. There’s another thing we can learn from Lincoln today, according to Meese: The importance of national unity. 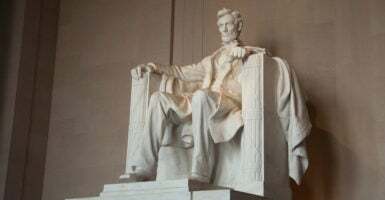 Lincoln was compelled to unify the nation by force of arms, and he also sought to unify the people themselves emotionally, by patience, compassion, and persuasion. I would suggest that, today, we must unify the nation by the force of our ideas, by the validity of our principles, and by the persuasiveness of our rhetoric. May it always be our dream as well.